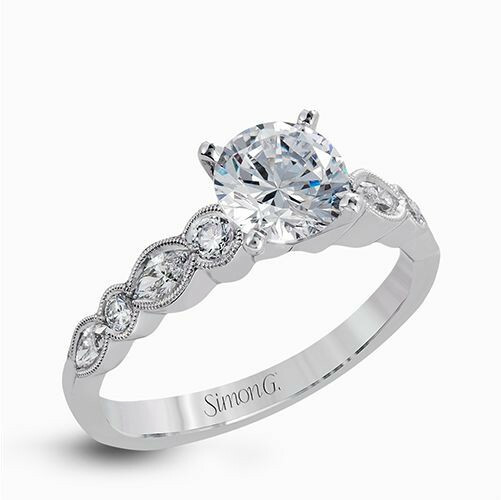 This Simon G. engagement setting, part of the Duchess collection, is a brilliantly updated classic. 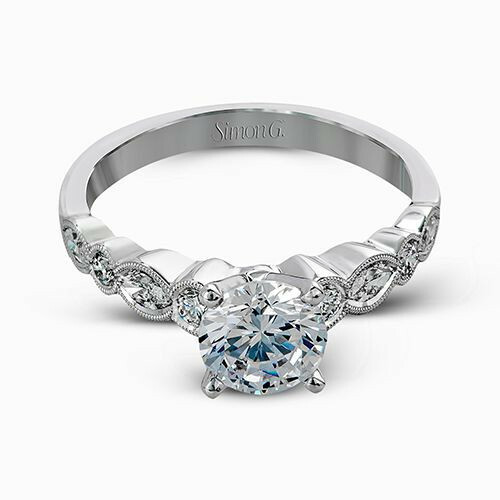 Crafted in 18kt white gold, your center stone will be set in a four-prong setting atop a band of bezel-set diamonds that alternate between round and marquise-shaped stones. This is an engagement mounting that she'd be proud to say were a part of the family jewels!